Earlier this year, Marvel Heroes gave unto the players of its free-to-play MMO the ability to purchase and play as Squirrel Girl. In 2014, along with the likes of Juggernaut, Magneto, Dr. 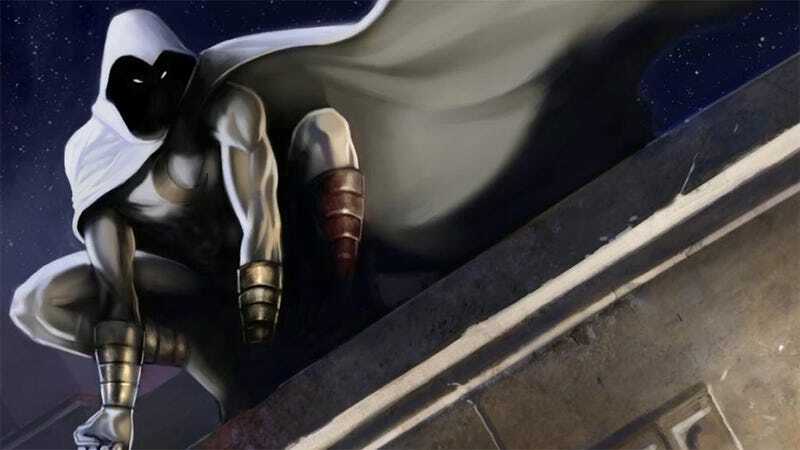 Strange and Venom, Marvel Heroes adds Moon Knight as a playable character. If that's not worth spending $130 on an "Advance Pack", then I have an unhealthy obsession with Moon Knight. I have an unhealthy obsession with Moon Knight, but that doesn't mean the Advance Packs — essentially season passes covering the entire year of add-on heroes and villains for Marvel Heroes — aren't worth $99 for the standard pack or $130 for the deluxe edition, which comes with two costumes for every character. The value all comes down to how much you love the new lineup, which is mildly impressive. Following up on the release of Loki last month, Marvel Heroes is ready to roll out more mass murderers for folks to play. Magneto once destroyed an entire country, killing everyone in it, but he's okay now. Venom used to tear people apart, but water under the bridge (with some blood in it). I do like that Sue Storm is not Susan Richards. Don't want to force players into loveless marriages when Reed shows up. And then there's Moon Knight. I once wrote a 12-page biography on the character in order to play him in a text-based online game, so any game that allows me to play him without writing a treatise on MPD reverse Batman wins. To play Marvel Heroes for free on your personal computer, go here. To purchase Advance Packs, go there too, only with money. Man, Gazillion Entertainment sure knows how to monetize, don't they? Advance release of Gambit's "As Death" Enhanced costume, delivered one month before official sale date. Advance release of Wolverine's "Fear Itself" costume, delivered one month before official sale date.